Cooking with children is always fun and teaches them about numbers, ingredients, weights, new tastes and healthy eating. Cooking together and encouraging children to be creative and take part in choosing, preparation and making simple dishes can help them to eat a wider selection of foods and even improve their Maths. There’s no need to be a culinary expert, just start with something really simple, then focus on making it fun for both of you. 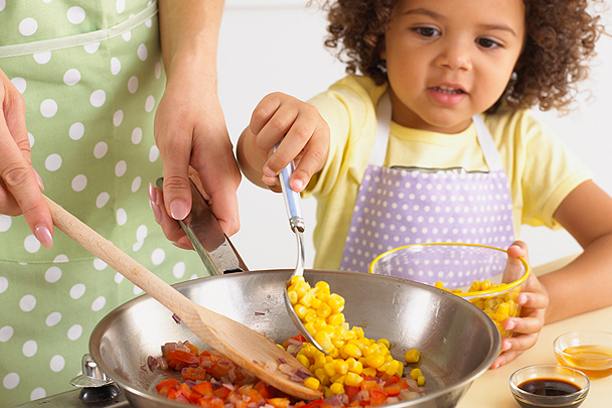 Deciding what to make and shopping for the ingredients together can be a great learning and bonding opportunity.